When you step into a pair of Danner steel safety toe boots, you’re stepping into a tradition of quality craftsmanship. Take a look at these Danner Men's Brown 15564 Bull Run ST Work Boots available in our online selection, and you’ll see exactly what we mean. ... (see full details) (see specifications) #15564. When you step into a pair of Danner steel safety toe boots, you’re stepping into a tradition of quality craftsmanship. Take a look at these Danner Men's Brown 15564 Bull Run ST Work Boots available in our online selection, and you’ll see exactly what we mean. Danner built this Bull Run work boot with features specifically suited to indoor use. Although it provides cushioning and traction on various terrain, the lightweight Danner® Wedge outsole is also non-marking and oil- and slip-resistant. The men's brown boots are also unlined to help keep your feet cooler and more comfortable when you're working indoors in warmer temperatures. Pull on a pair of your favorite men's work socks with your Danner Bull Run 15564 boots, and you’ll be good to go with high-quality comfort and support. For safety, the Bull Run EH boots include a steel safety toe that meets or exceeds ASTM F2413-11M I/75 C/75 EH standards and ASTM F2413-11 F I/75 C/75 EH. This special design also provides electrical hazard (EH) protection that meets or exceeds ASTM F2892-11 EH standard. Up top, Danner crafted these safety toe slip-resistant boots with an oiled, full-grain leather upper. This quality leather requires less maintenance and although the Bull Run is not a waterproof boot, its leather is resistant to water and other liquids, so you don’t have to worry so much about those everyday splashes, sloshes, and spills. The soft, supple leather will mold to your foot for an almost-custom fit. But don’t be fooled by the comfort. This leather is made to last and must meet Danner’s demanding series of rigorous tests for strength and durability before it gets the Danner name. 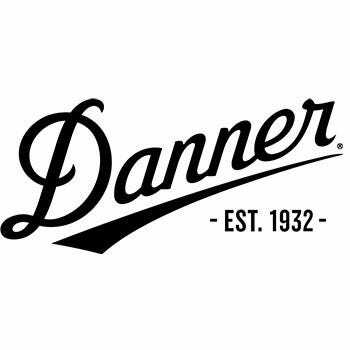 Danner tells us this design has a sleek, narrow profile with a toe box that will accommodate the steel toe, and that the men's EH boot best fits a narrower foot for a snug, secure fit. If your foot is wider, Danner suggests that you order the Bull Run 15564 in a wide (EE) width. For added stability, this pair is made with a steel shank, and for excellent cushioning, the footbed is crafted with polyurethane. So even though there’s not a lining that could cause your foot to be overly warm when working indoors, you’ll get good support and cushioning you need with the Bull Run style. The Danner work boots for men are 6 inches tall, a great height for support and protection without being too confining. They feature a moc-toe design and attractive contrasting stitching. Five eyelets and two speed-hooks help provide a secure and comfortable fit. The safety toe oil-resistant footwear proudly displays the Danner name across the tongue and a small American flag on the side. When you need a pair of lightweight, unlined leather work boots with cushioned outsoles and a steel safety toe, the Danner Men's Brown 15564 Bull Run ST Work Boots from Working Person's Store are an excellent choice. Order a pair today! These boot by far outlast Red Wing/Irish Setter moc-toe work boots. The craftsmanship is on a higher level and the soles don't come apart after a few months of hard work as the two other brands do. Absolutely the best boots by Danner. Danner Boots: Men's Brown 15564 Bull Run ST Work Boots is being added to your cart.